Mike, a.k.a. “Baristart” is an NYC based artist/barista with a very special and unique talent of creating detailed portraits and designs in coffees. Mike's coffee art is a perfect combination of artistic talent and many years of experience in coffee. His main goal and mission with this ephemeral medium has been to entertain people with this gesture that creates a moment that resonates much longer than the art itself. Here’s more evidence to back up all those studies on boredom inspiring creativity: Meet Mike Breach, barista extraordinaire, who “paints” everything — and everyone — into his lattes. “I’m an esspressionist,” he proudly proclaims. 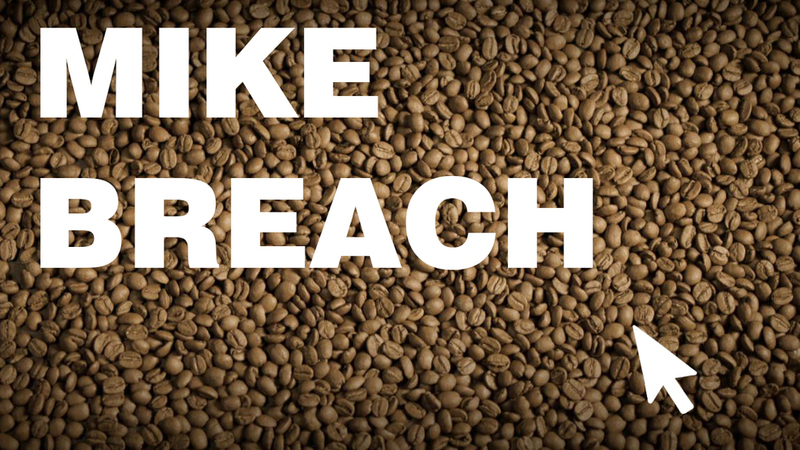 Just last year, Breach was idling away his customer-less hours in the back of a hotel kitchen with only a dormant espresso machine for company. He was “so, so bored.” So he taught himself how to inscribe ornate hearts in coffee foam, with a bamboo skewer as his paintbrush. “People got so excited about it!” says Breach. He took it further; out came the teddy bears (“the girls just love those”), a portrait of that hotel boss (“I didn’t show it to him, but my coworkers and I laughed about it”), and Salvador Dalì, and Edward Scissorhands, and Beyoncé. If I see a face like those in my coffee, I'll be scared!! Good Content!! !